Make your presentations come to life! Rugged, reliable and easy-to-use, XS Wireless delivers renowned Sennheiser sound to small venues, conference rooms or houses of worship. The XSW 12 Presentation Set includes a compact body pack transmitter and inconspicuous omnidirectional microphone that provides natural speech reproduction. An all-metal True Diversity receiver offers 960 tunable frequencies, with powerful scan and sync functions that ensure up to 10 hours of trouble-free operation. 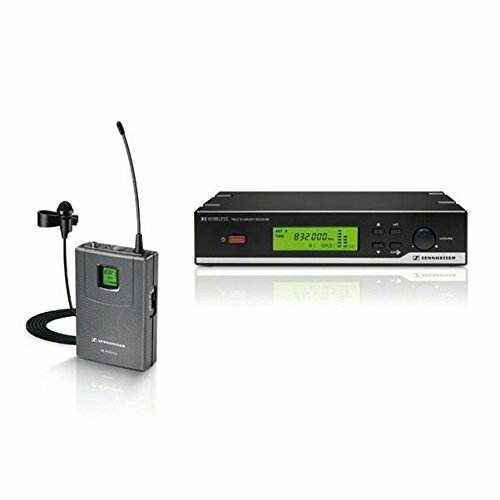 View More In Wireless Microphones & Systems.